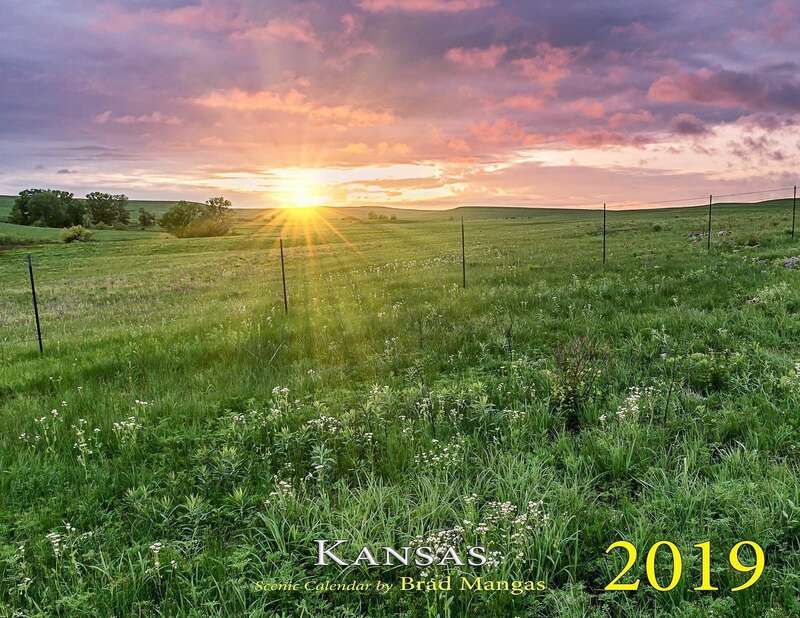 We have once again put together a collection of beautiful images for the 2019 Kansas scenic wall calendar. Celebrate the natural beauty of Kansas all year long. 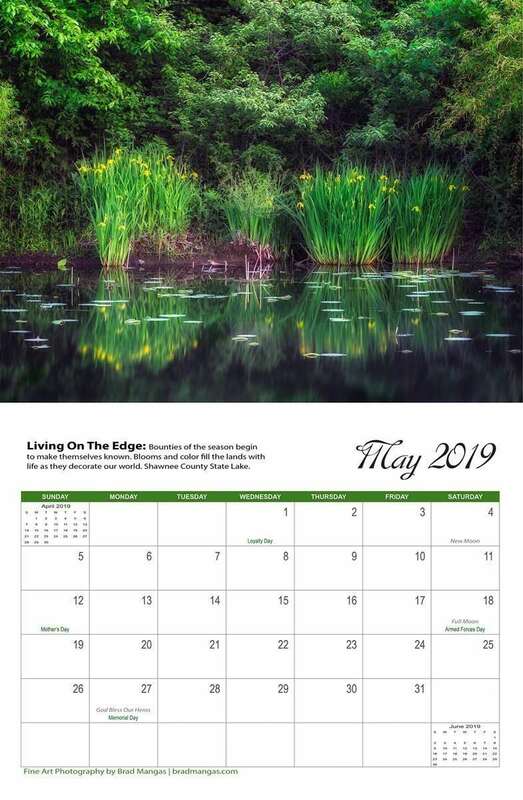 The calendar is 11″ x 17″ when open and features a new image along with description each month. Months include US holidays, moon phases, plus mini views of previous and next months. Each calendar is individually shrink wrapped and includes a stiff insert to ensure calendar won’t be bent during shipping. Shipping charges are kept to a minimum and is only $3.00 per order/address regardless of quantity. This is just to cover shipping material and first class or priority mail. Send as a gift: You may purchase calendars as gifts and have them sent to a different address than your billing address. The easiest way to do this is to simply order the quantity desired and then enter the desired shipping address on the order form. You may also leave a message in the message section on the order form if you would like us to include a message to the recipient. We will include your message on a 4×6 note card with your order. → Calendars are produced in limited supply and go fast during the holiday months. If you purchase a calendar please let us know. You can leave a comment on our facebook page or email us a comment here. We are always happy to hear what folks have to say about our calendars. We may even share your feedback with others! $14.95 – Select quantity in cart. Retail location – If you are in the Council Grove Kansas area please stop by the Rock Fish Gallery at 119 W. Main, Council Grove, KS 66846. 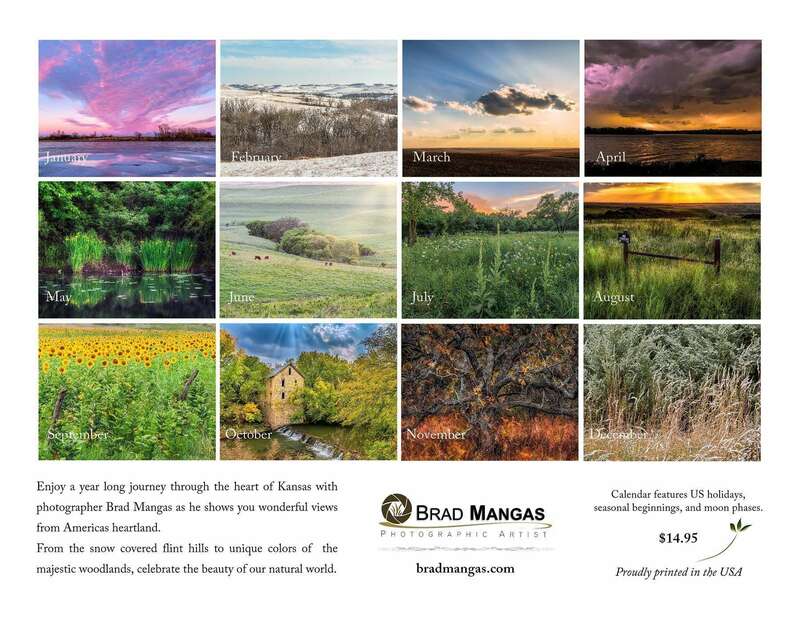 2019 Kansas Calendars are available as well as fine art prints and a collection of art from regional artists. Rock Fish Gallery on Facebook.